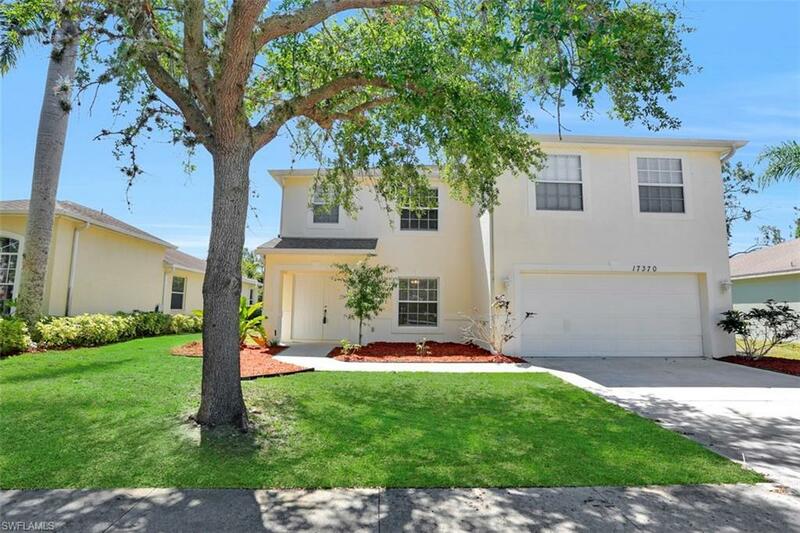 Fantastic 5/2.5 2 car garage in much desired Lakes at Three Oaks neighborhood! Grand, double door entry with 2 family/den areas, formal dining, Kitchen with tons of storage and pantry. First floor bedroom with full cabana bath. 4 Bedrooms Upstairs, 2 bedrooms with Jack-n-Jill bathroom, Master Suite Retreat includes dual sinks, soaking tub, separate shower. Laundry room conveniently located upstairs. Screened patio complete with pet door is ideal for enjoying morning coffee and evening downtime. Huge fenced yard has endless possibilities, 2 A/C units, amazing, family-focused community, close to major highways, beaches, shopping and all that area has to offer!